This time last year, I was enthusiastically adding the final touches to the Clothed In Scarlet home page that would launch a week later. As I look back over the past year, I stand amazed at how far the site has come. I started it with a vision God laid on my heart and now I see how He has fleshed it out to be so much more. Today, I’m reminiscing about the past year, and sharing a special gift for you, my dear readers. 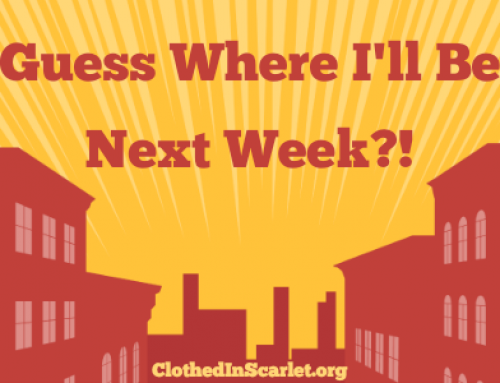 The journey we undertook at Clothed In Scarlet over the past year has been innovative, fun, educational, and a bit taxing at times. So far, I’ve created tons of free resources, published an eBook, launched an eCourse, and followed it through with a month-long challenge that many found very helpful! The video eCourse and challenge were especially quite challenging for me, as it required that I step out of my comfort zone, and in front of a camera. Consulting, which was just a dream, soon became a reality. I started enjoying talking to people – helping them with their business, and becoming good friends with my clients in the bargain. I prayed hard for someone who would walk this path along with me, and God answered that prayer! Sheena, who works with me, is my polar opposite, and she helps by compensating for my weaknesses. You know, all of us have weaknesses. However, instead of focusing on them, we need to embrace them and find someone who can support us and cover the areas we lack in. From a startup perspective, I understand you might have some financial constraints, but I encourage you to check out some less-expensive options. If hiring a full-time virtual assistant is out of the question for you, you can outsource certain tasks alone, or just hire someone temporarily to get the job done. 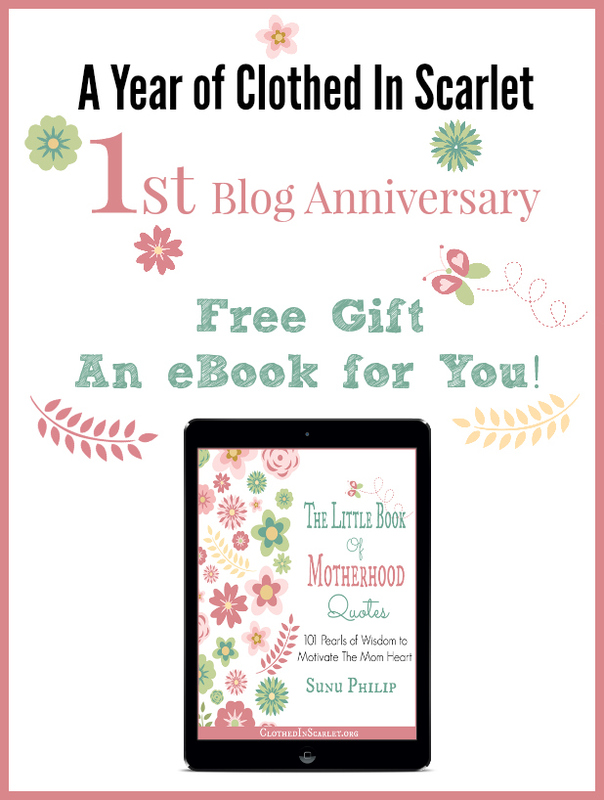 So to celebrate our first anniversary at Clothed In Scarlet (and because Mother’s Day is coming up), I’m offering you a FREE eBook. 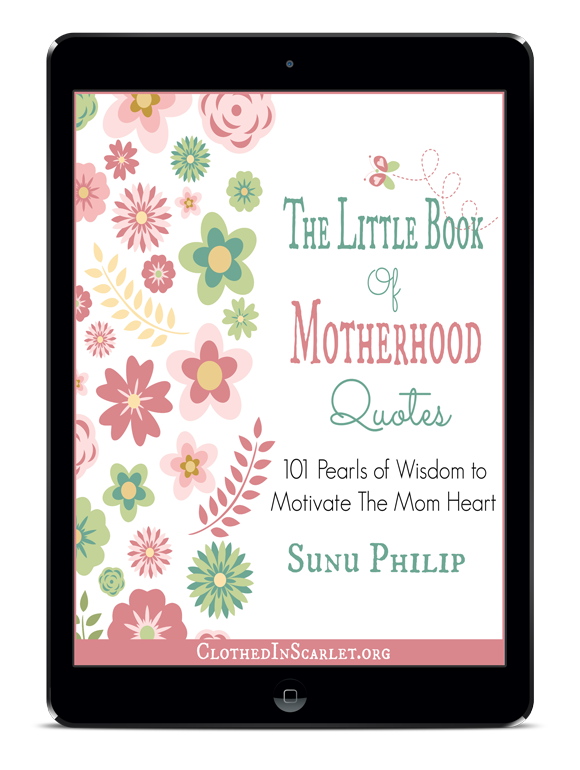 The Little Book of Motherhood Quotes is my free gift to you, dear reader. Feel free to gift it to other mothers in your life as a Mother’s Day present. The only restriction is that you cannot change any content within the eBook. 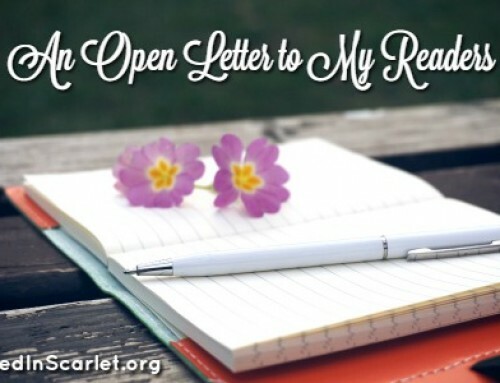 Enter your details in the form below to sign up for my newsletter and receive your free eBook! Congrats on first year…amazing and thanks for being a blessing to us all! Looking forward to checking out the ebook…thanks again and many blessings! Thank you so much Chamel. I hope the ebook will be a blessing to you!! Made my mommy heart smile today. Thank you Cristina…Love you friend!